Lab reports are a crucial component of lab courses. Many students experience difficulties in writing such papers. The main reason for this situation is that the students do not know how to organize the entire process from lab experimentation to the final task of writing the report. However, with the requisite guidance, it is very easy to write a remarkable paper. A lab report is an account of all the activities undertaken during a laboratory experiment. It includes an explanation of the aims of the research, the meaning of the results and what information you gained from the activity. Some instructors require students to submit the work as part of a lab report notebook while others will need a separate paper. To improve your skill in writing this type of paper, you need to observe the following tips. First, carry out the experiment within the laboratory. During the process, follow all the procedures in the experiment manual and keenly take note of any observations. Record all the results in the order they were obtained. These steps will help you write an organized lab report that is easy to read and understand. How Can I Learn How to Structure a Lab Report? The first step in writing your lab report is the title page. Within this page, you need to include details such as experiment title, your name, and names of any other lab partners, your instructor’s name and the date you performed the experiment or submitted the report. Your title should be short; make it ten words or less. It should properly describe the purpose of the experiment. In most instances, the introduction section of a lab report consists of one paragraph. It explains the purpose or objectives of the study. State your hypothesis in a single sentence. Sometimes the introduction may have background information. The body section of a lab report contains various sections. Each segment highlights an important process of the experiment. This section includes materials, methods, data, results, discussions and the conclusion. List all the tools you utilized during the entire practical activity. Describe each step you undertook during the experiment. Give sufficient details to enable the reader to understand your paper properly. Write it as if you are giving someone else instructions on how to conduct the same experiment. Most numerical data should be represented in a table. Data entails every detail you recorded during the experiment. It should only include facts and no explanations or interpretations. In case your study involves some statistics, you can use methods of statistical data representation. These are bar graphs, pie charts, histograms, line graphs, and proportional circles among others. Describe what the results mean. At times this section can be combined with discussions. i.e (Results & Discussions). This section should contain any calculations made based on values derived from the data section. Interpret the information and determine whether the experiment accepted or rejected your hypothesis. Discuss any mistakes made during the exercise. You can also give suggestions on how future experiments can be conducted more effectively within the same study. The conclusion emphasizes the discovered hypothesis. The information can then be used to support or disprove a given theory or concept. In case the writer utilized external sources while undertaking the literature review, they should provide the relevant citations. You can also include an appendix section after the conclusion to explain specific jargon used in your study. End with the bibliography section. If you are experiencing problems with lab reports, we can help with that. Contact us or place your orders and receive superb reports at affordable rates. 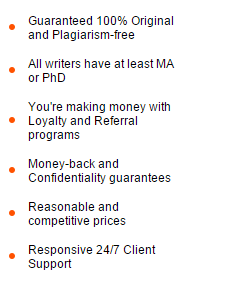 Our college writing service is ready to help you with any tasks.